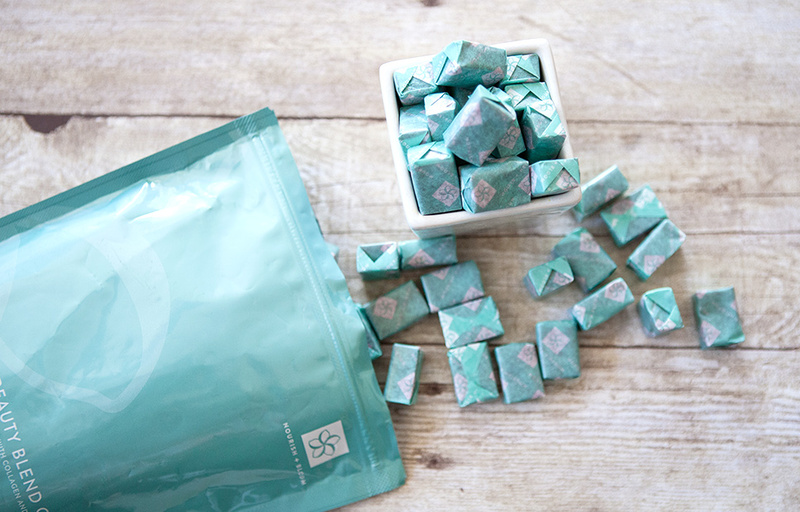 We lovingly refer to our Beauty Blend Chews as “beauty candy” – and for good reason! Our chews are made to support glowing skin, and healthy hair and nails. They’re a daily indulgence that are guilt-free. The beauty blend chews are amazing. I could eat them all day! 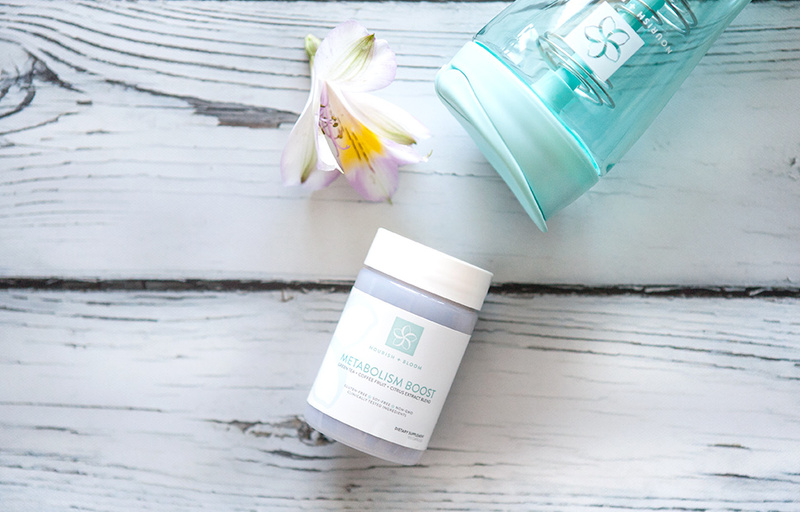 What is Versisol collagen and how does it help my skin? Do Beauty Blend Chews contain any artificial colors or flavors? Nope! The color comes from vegetable juice. These chews are so yummy! How are they sweetened? The main sweetening agent in our chews is raw cane sugar. In order to make a chew that is non-GMO and sweetened naturally, we favored real sugar over artificial/non-caloric sweetening options. Can I have more than 3 chews? We created our serving size with an efficacious dose. 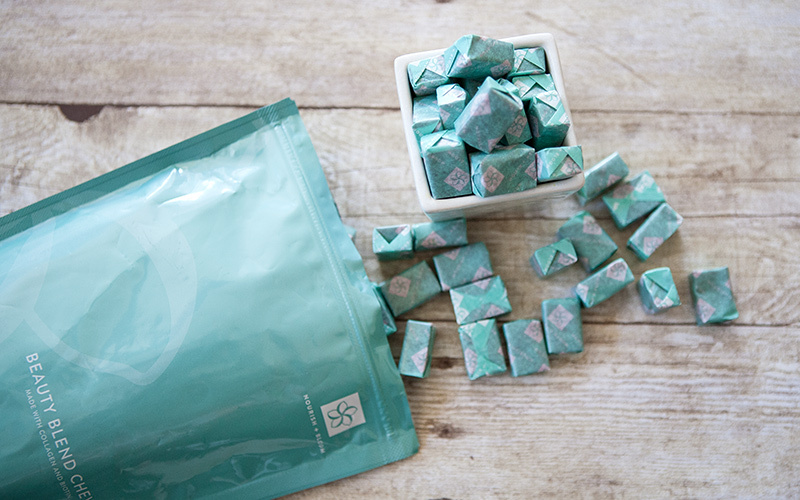 We don’t recommend taking more than one serving of Beauty Blend Chews each day. Are Beauty Blend Chews safe for kids? The research we used to create our Beauty Blend Chews was done on adult women. We don’t recommend giving them to children, however yummy they might be! How long do I have to take Beauty Blend Chews before I see a difference in my skin, hair, and nails? 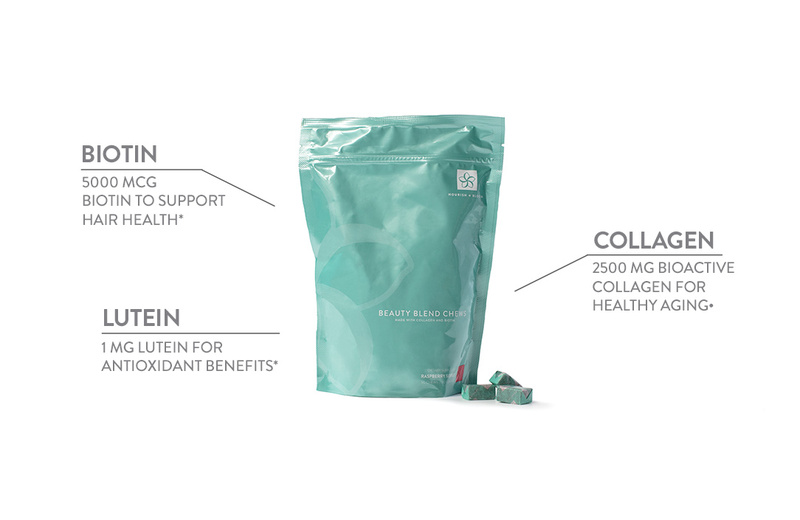 Each body will respond a little differently to biotin and collagen supplementation. Some women see improvements within a few weeks, others take longer. We recommend at least 6 weeks of consistent use. Are Beauty Blend Chews safe to take while I'm pregnant or nursing? 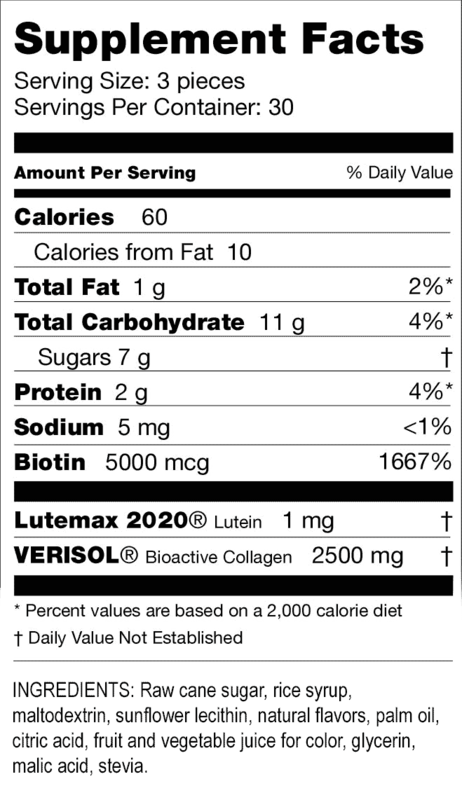 The chews have a pretty high potency of collagen and biotin. Because neither of those ingredients have been tested in a pregnant or nursing population, we would advice against their use. Why are my chews hard? 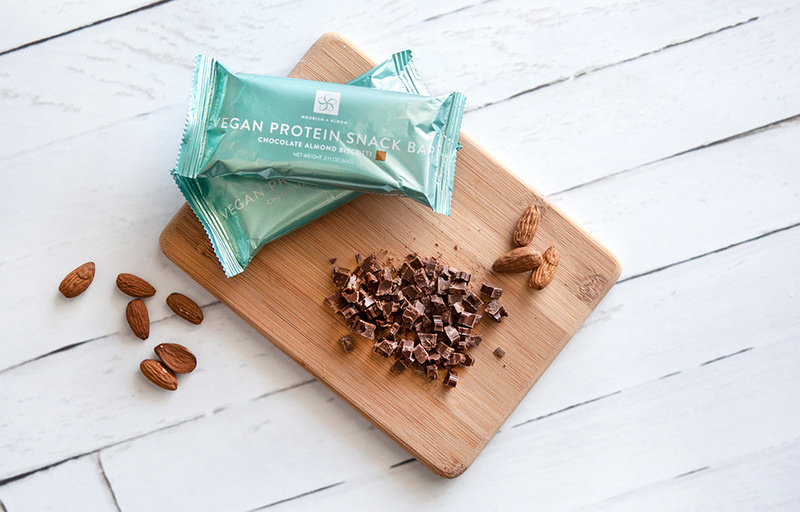 Our Beauty Blend Chews are made without preservatives, so it’s important to keep the bag sealed so they aren’t exposed to air. If you can, keep them at room temperature.